SANTA FE – The number of satisfied anglers in New Mexico grew by 10 percent in 2015 and now accounts for more than 72 percent of those surveyed. 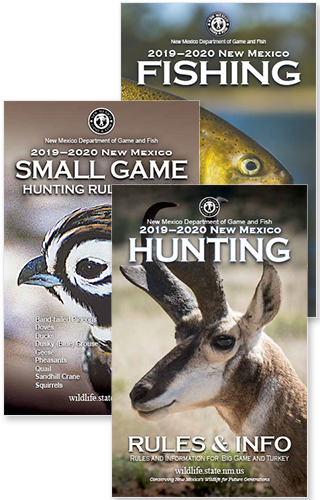 “This is a real tribute to all the hard work done by our department to make New Mexico one of the best places to fish in the West,” said Mike Sloane, Chief of Fisheries for the New Mexico Department of Game and Fish. 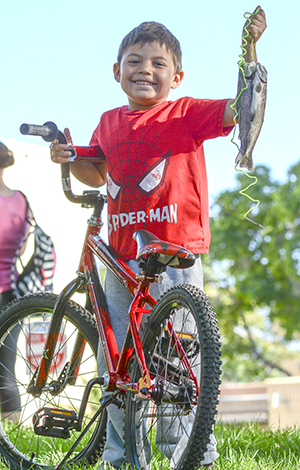 The latest annual survey, conducted by Davis Innovations of Santa Fe, indicated that the average angler in New Mexico fished about 13 days during the last year, with the majority seeking trout. The survey is available online at www.wildlife.state.nm.us. Women accounted for about 20 percent of the 410 licensed resident and nonresident anglers interviewed by telephone this spring. That amounts to a 5 percent increase over last year’s survey, and a 10 percent increase from 2013. The increase in angler satisfaction follows several years of remaining at just more than 60 percent satisfaction. According to Sloane, stocking larger trout and increasing fish habitat improvement projects around the state may be some of the reasons anglers are more satisfied. The survey also indicated 77 percent of out-of-state anglers were satisfied or very satisfied with fishing in New Mexico. About 160,000 resident and nonresident anglers spend around $268 million a year on fishing-related activities in New Mexico, according to a recent study of the industry that can be seen at www.wildlife.state.nm.us.